The following is my genealogy to my ancestor Thomas Edgerly, a Puritan civil leader part of Massachusetts Bay Colony. his control. He returned to England. In 1630 a fleet of ships came from England to Massachusetts in order to found the Massachusetts Bay Colony of New England Puritans. The leaders of that Puritan community were on the flagship Arbella of that fleet. Thomas Edgerly (the elder) was on the flagship Arabella, along with Governor John Winthrop. 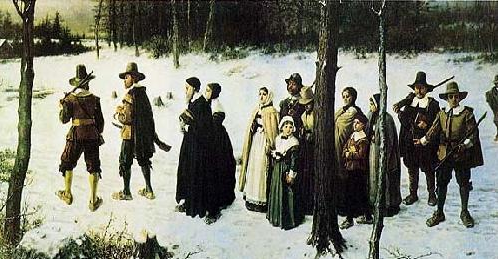 Governor Winthrop preached his famous sermon on board the Arbella, called “The Model of Christian Charity”, in which he spoke of how Puritan New England could become a ‘city on a hill’ for the world to see. That speech has been alluded to by many American political leaders since. Arbella ship info can be read at: https://en.wikipedia.org/wiki/Arbella . Ancestor William Edgerly was part of the landed gentry in England. Rebecca Ault Edgerly, wife of Thomas Edgerly (the Younger), was daughter of John Ault and Remembrance Tibbetts, who had come to the Massachusetts Bay Colony in 1631 and 1635, respectively (see http://www.genealogy.com/ftm/w/i/l/Delores-S-Willey/GENE4-0014.html).